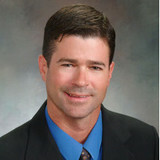 Serving all of Southwest Florida and now Orlando, Fence Dynamics has been in business since 2005. 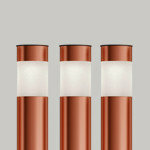 Our company has been built on integrity and quality. 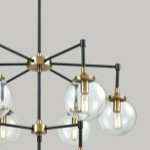 We understand our customer’s project is one of their greatest investments and respect its unique character. We believe our clients have worked hard to get where they are and deserve expert craftsmanship from the best fence company in the industry. From start to finish, we are committed to our customer’s vision for their project, and we do our best to deliver a finished product that has lasting value and fulfills their personal expectations, even to the smallest detail. To ensure the highest quality of construction, Fence Dynamics engages in only a few projects at any given time allowing us to focus on the details of each project we build. We have a staff of reliable, competent professionals who share in our mission statement and deliver only quality materials and craftsmanship in a timely manner. Contact us today for a FREE on-site estimate! When you work with your local experts in fencing, you'll boost your property's curb appeal while gaining security, comfort and privacy. Speak with us today about your goals and let us connect you with the right long-lasting fence! Ask about our GUARANTEE too. 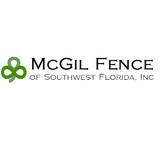 McGil Fences of SWFL Inc.
Family owned and operated by Bill and Teresa Guilday, McGil Fence of Southwest Florida, Inc. is a full-service fence company. We are committed to provide quality fence installation at an affordable price for residential and commercial establishments in Southwest Florida. 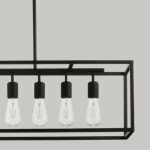 Our goal is really quite simple – “100% Customer Satisfaction”. We want your home or business to be Safe, Private and Secure! 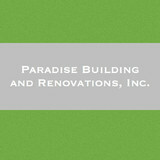 Paradise Building and Renovations, Inc.
We are a locally owned and operated company with over 20 years of industry experience. We value honesty and integrity in all aspects of our business. We offer a variety of Home Improvement services that are customizable to each individual project & specialize in wood fences, and a variety of other projects. We pride ourselves on the quality of our work as well as our commitment to outstanding results. We look forward to building lasting relationships with our clients and guarantee your satisfaction! We are GATEKEEPERS an Employee Owned Company founded in May of 2011. The employees of Gatekeepers have been servicing the mainstream Condominium and Gated Communities in Collier, Lee and Hendy County with projects and services including Gates, Fence, Access Control, Custom Fabrication and Cameras Surveillance Systems for more than 35 years. We have come from other security firms and local access control companies including Gateswork ® and Access Security. 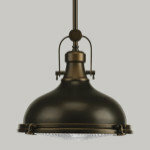 We have ten owner/employees with combined industry technical and hands-on experience of well over 100 years. Yes, one-hundred years of repairing/installing Gates/Fence, Cameras, and Access Control Systems. We have seen and done it all. We would like to have the opportunity to become your Service / Installation / Preventive Maintenance Company. We have very competitive rates and service capabilities 24/7. We are striving to become the number one source for quality Gate, Access Control, CCTV, Bar Code and Fence Systems. We provide service for all makes, models and designs. We offer all types of Gates, automated gate operators, access control systems and surveillance systems, residential and commercial. At Carter Fence Company we are dedicated to providing our customers with the highest quality fencing products and customer service. We make your satisfaction, and the satisfaction of all our customers, our number one priority. We do this by providing fences and fencing materials from the top companies in the industry, including Alumnigard, Poly Vinyl, Master Halco, and Trex. Using recognized names allows us to ensure the most durable and best quality fences. Because of our dedication to excellence in all areas of our business, we have been happily serving Southwest Florida for more than 21 years, and we look forward to continuing to provide unbeatable fences for many more years to come. Contact us today to learn more about how we can come up with your perfect fencing solution for your home, business, or construction site. SOLID HISTORY OF SAFETY For more than 52 years, the ORIGINAL BABY BARRIER® Pool Fence Company has been helping to prevent drowning accidents around swimming pools. While there is no substitute for adult supervision, BABY BARRIER® can help minimize the occurrence of accidents with its solid wall of protection around water that keeps kids safer. Whether you need to secure your yard or just add some decorative flair to your landscape, fences are an integral part of a home’s exterior and curb appeal. Given their security and aesthetic importance, they need to be designed, installed and repaired correctly — luckily, fence contractors in Naples Park, FL can help. From devising custom fence designs to general fence repair and maintenance, these pros will have your fencing looking fancy in no time! Your Naples Park, FL fence installation and repair professional will work with you to create your ideal fence. Fence installation or replacement. If you are in the market for a brand new fence, a contractor’s services will include walking you through various fence styles and materials, determining a suitable height, ensuring that all fence designs and plans are compliant with Florida building codes, and that the fencing meets both your stylistic and security needs as the homeowner. Fences and gates must complement the grade of your property as well as the type of soil you have, so the contractor should always plan around these considerations. Additionally, if you don’t know exactly where your property lines are, he or she can commission a survey for you. 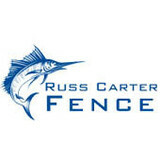 Find a fence contractor in Naples Park, FL on Houzz. Narrow your search in the Professionals section of the website to Naples Park, FL fence contractors. You can also look through Naples Park, FL photos to find examples of fencing and gates that you like, then contact the professional who worked on them.